NORDAM's Founder: Ray H. Siegfried II founded The NORDAM Group in 1969 and grew the local manufacturing company into a global aerospace corporation operating on four continents with revenues in excess of half a billion dollars. Siegfried led the company for 35 years before his death in 2005. Today, NORDAM continues to serve the aerospace industry based upon the foundation and principles established under the leadership of Ray Siegfried. Born and raised in Tulsa, Okla., Siegfried graduated from Cascia Hall Preparatory School in 1961 and obtained his bachelor’s degree in business administration at the University of Notre Dame in 1965. After college, Siegfried joined the US Army as a second lieutenant in the 2nd Battalion 17th Mechanized Infantry Brigade stationed in the South Korean Demilitarized Zone. He completed his distinguished service in the US Army Reserves after holding several command positions, even coaching and competing with the Army/Korean boxing team where he dominated the Pacific Championships in 1966. After his service in South Korea, Siegfried returned to Tulsa as a young, ambitious entrepreneur. While working for the family insurance business, he encountered the Northeastern Oklahoma Research, Development and Manufacturing Company, a bankrupt business insured by his grandfather and father. In 1969, the Siegfried family purchased the company. With only eight employees, Siegfried began to build a new company that would ultimately set the standard in aircraft component manufacturing and repair. Under the leadership of Ray Siegfried, NORDAM established a reputation as an innovator, developing new technology and repair solutions for business jet, commercial transport, and military aircraft. Throughout his 35 year career as NORDAM’s chief executive officer, Siegfried drove key strategic developments that shaped the company's success over four decades. Such initiatives include pioneering hush-kit technology, acquiring Rohr Industries' and The Dee Howard Companies' business aviation nacelle and thrust reverser programs, expanding NORDAM's manufacturing capabilities, and developing military aftermarket services. In 2001, Ray Siegfried was diagnosed with amyotrophic lateral sclerosis (ALS or Lou Gehrig's disease). Over the last four years of his life, the neurological condition gradually left Siegfried unable to speak and paralyzed. Through infrared technology, Siegfried was able to communicate with a mobile Eye Gaze computer, a system capable of tracking and translating eye movements into verbal communication. He remained active at NORDAM, serving as chairman of the board until his death in October 2005. Siegfried's business success allowed him to support the aviation, education, humanitarian and civic initiatives that mattered to him most. His aviation career was distinguished by his chairmanship of the General Aviation Manufacturers' Association in 2002. In 2003, Siegfried was honored by the National Business Aviation Association with its "First Century of Flight Award," in recognition of his lifelong contributions to aviation. As a dedicated alumnus, Siegfried served the University of Notre Dame on the Board of Trustees, the Facilities and Campus Planning Committee, and the Academic Affairs Committee. He and his father dedicated Siegfried Hall dormitory in 1988. The Ray and Milann Siegfried family and The NORDAM Group donated the MBA wing of the College of Business Administration in 1995. In 1997 the Ray and Milann Siegfried family funded the Chair for Entrepreneurial Studies. Siegfried supported education by serving on the boards of Embry-Riddle Aeronautical University, the University of Portland and the University of Tulsa. He received an honorary Doctor of Law degree from Notre Dame in 1992 and an honorary doctorate from the University of Portland in 2002. In 1989, Siegfried received the National Conference of Christians and Jews' "Brotherhood Award". In 1991 Siegfried was received as an affiliate of the St. Augustine Order of the Catholic Church, in 1992 was invested as a Knight in the Sovereign Military Order of Malta, and in 2000 he received the "Humanitarian Award" from the National Jewish Medical Research Center. Siegfried served as a charter member of the United States Conference of Catholic Bishops’ National Review Board from 2002 until 2005. Siegfried served his community and was honored with numerous civic awards. 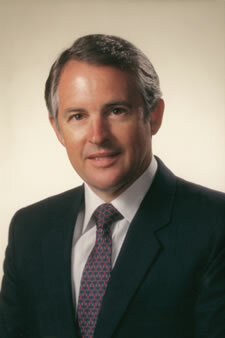 The Notre Dame Club of Tulsa named him "Man of the Year" in 1980. When Siegfried served as chairman of the Tulsa Area United Way in 1987, the campaign set a new record for contributions. Later that year, he was inducted into the Headliners Club by the Tulsa Press Club. Siegfried received the Gold Knight of Management Award from the National Management Association's Eastern Oklahoma Council in 1988. He was inducted into the Oklahoma Hall of Fame in 1990. He was president of The Tulsa Club, and served as treasurer for St. John Medical Center. He was a director of the Tulsa Day Center for the Homeless, chairing their 1991 capital campaign, and was director of the Tulsa Community Foundation. Siegfried was named Tulsa's "Number One Corporate Citizen" by Oklahoma Magazine in 2002. Throughout his life, Siegfried remained a sports and adventure enthusiast. He served as director of the U.S. American Boxing Federation, and was a founder and director of Tulsa Charity Fight Night, Inc. Siegfried's love for diving and underwater exploration led him to participate and invest in the discovery and recovery of several shipwrecks. He was a past chairman of the Institute of Nautical Archeology, director of the Oklahoma Aquarium Foundation, and was a founding director of the Tulsa Aquarium. Siegfried is survived by his wife, Milann; six children, Ray (Tray) H. III, Hastings, Meredith, Milannie, Terrell and Bailey; and 15 grandchildren. Today, NORDAM employs stakeholders across nine major aviation manufacturing and repair facilities on three continents.